I am pleased to announce the launch of Parcel Apothecary! 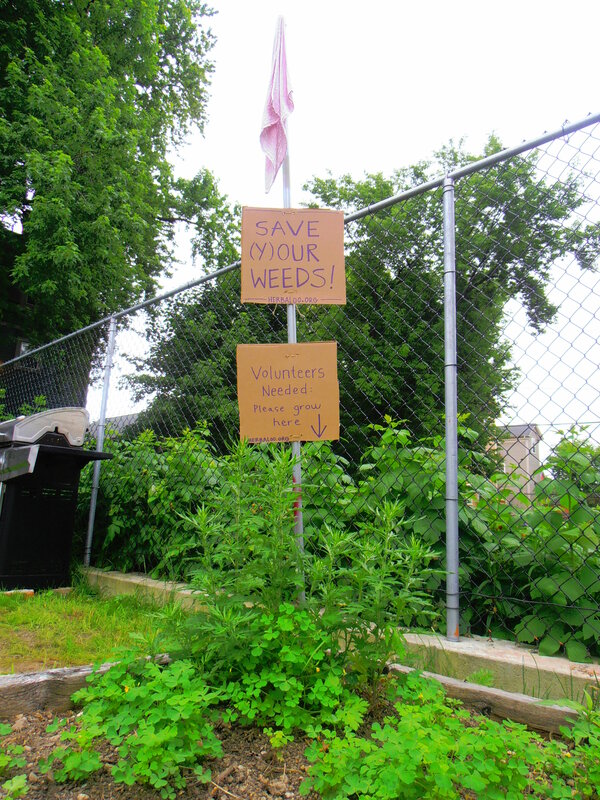 I have been tending to the seed I planted last March, when I moved to the humble city of Providence, RI. What a year it’s been! Parcel Apothecary offers an Herbal CSA, rooted in the Small Estate Gardens I tend along the coast of Rhode Island. After cultivating my organic farming and herbal medicine practice over the past 10 years, I am branching out and sprouting from the runners and rhizomes of ancient wisdom that have led me to this very place in time and space. “1. an object, article, container, or quantity of something wrapped or packed up; small package; bundle. 2. a quantity or unit of something, as of a commodity for sale; lot. 3. a group, collection, or assemblage of persons or things. 4. a distinct, continuous portion or tract of land. 5. a part, portion, or fragment. What is an Herbal CSA you ask? It has gained some popularity in the past few years amongst herbal medicine farmers who have found inspiration in the model that our friends, the organic vegetable & dairy farmers, have brought to light. CSA stands for Community Supported Agriculture. CSAs are purchased in the beginning of the year, when farmers are buying seeds and tools for the planting and harvest seasons to come. Your purchase brings funds to the farmer to support the year’s start-up costs. Throughout the growing season, you are given a basket of farm fresh produce every week to feast on. Good for them, good for you. Folks involved in CSAs tend to find their palates expanded, their bellies full, and their neighbors pleased with the shared abundance. You also get to know a few new vegetables that bring pizzazz to your kitchen and a flavorful connection to the Earth. An Herbal CSA (Community Supported Apothecary) is a way to bring locally made herbal medicines into your kitchen, your medicine chest, and on your person. You know your farmer, now I ask you to know your herbalist. Our food is medicine, and our medicine should be treated with the same ethics. 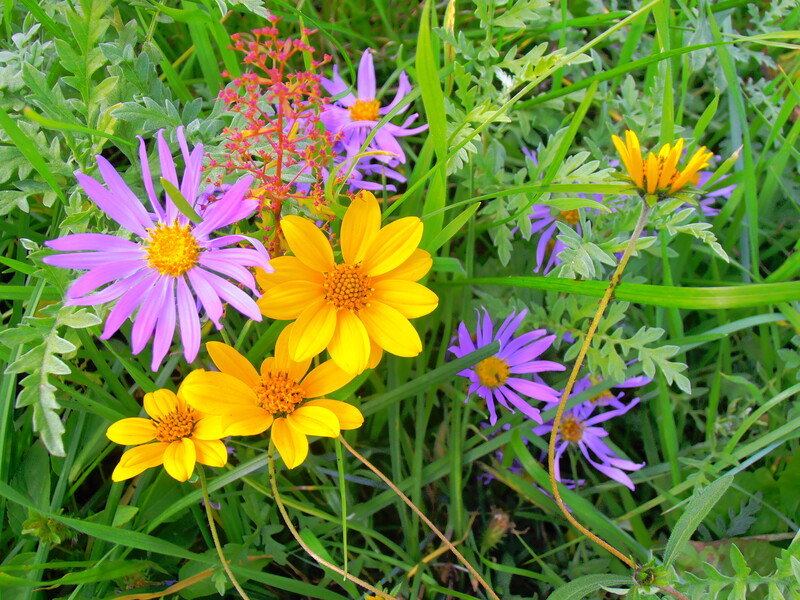 Local Organic Herbs for healing! Parcel Apothecary’s Herbal CSA offers 5 pickups per year. You receive a parcel of medicinal herbs specific to each season’s most common ailments, and the tonic needs of your body during that season. I have been granted a parcel of land in the south end of Providence to grow the apothecary on. The Small Estate Providence garden is located next to The Avenue Concept, where a possibility model is growing for the south end neighborhood, and the greater Providence community. We display a successful way to bring together urbanites to share resources, knowledge, and good company. The exterior of the Avenue Concept building has been turned into legal graffiti walls. Indoors there is a gallery, offices, and gathering space for Hip Hop lyricists, break dancers, DJs, young school children with exploring minds, organic agriculture enthusiasts, entrepreneurs, our strong community of African descendants, our neighbors at the Msque, and the low-income families who find peace in being welcomed into our community. It is a unique space, and I am pleased to add herbal medicine to the mix. 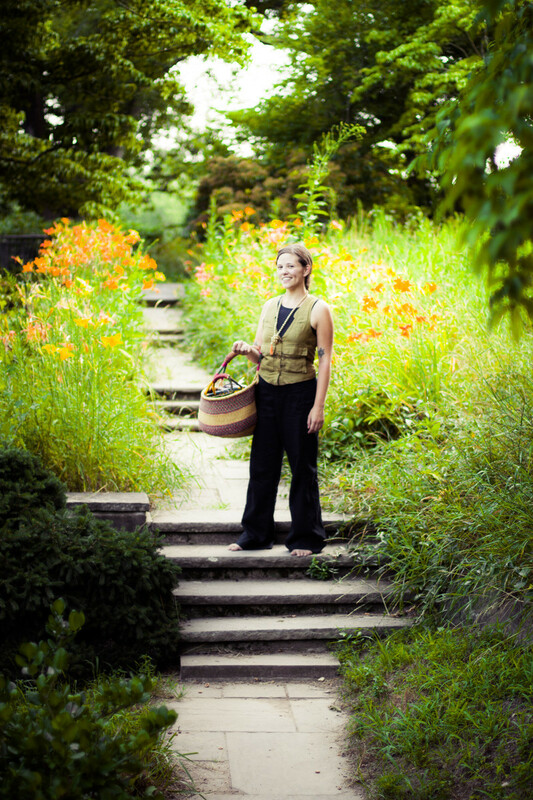 I am currently seeking out a few budding herbalists for the Earth Apprentice program, being offered by Parcel Apothecary at the Small Estate Providence garden. If you are local to RI, please be in touch. I am also coordinating work days for folks to gather at the Farm, complete a project together & celebrate our efforts in the garden with food and libations! My herbal career has explored many avenues in the past ten years. I have had the chance to work on the Herb Pharm Farm in Williams, Oregon alongside their tremendous team of farming herbalists, along with their many talented teachers in the vicinity. Additionally, I was blessed to work for three years with the amazing staff at Urban Moonshine, and be greatly inspired by founder Jovial King. I have spent countless hours studying solo and in groups, at herbal conferences across the country, listening to webinars, learning in the presence of Elders, and exploring the philosophy of healing with friends and colleagues. At the same time, I worked on over 10 organic vegetable farms, honing my skills as an organic farmer and land steward. 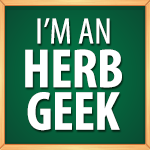 I am pleased to now carry the title of Farming Herbalist. Last year I began as an Urban Farmer at the Avenue Concept’s smaller garden plots, and I must say it was the missing link. Now to take on the title of business owner. I am ready and to the moon in excitement to have the Parcel Apothecary come to fruition in the year of my Saturn return. The Herbaloo, Earth Apprentice blog will reflect these changes as well. Over the past four years, I have posted about varying topics which have been directly relevant to my current studies and interests. This year you can look forward to topics including: Influential Herbalists, Garden Weeds You Can Eat, Musings From the Field, and Farm to Bar Cocktails! That’s right! In the midst of all the studying and farming, I got to know my local craft cocktail bartender, too. I offer herbs for local bartenders who transform them into tasty apothecary cocktails. Warren Bobrow (Apothecary Cocktails) and Amy Stewart (Drunken Botanist) have written thoroughly on the subject if you would like to learn more. I also work as a Brand Ambassador with an amazing crew of farmers and bee keepers who distill raw honey into spirits like vodka and gin. I imbibe in “spirit” in more than one way! The 2013 herb of the year for me as an Earth Apprentice is the Yarrow plant (Achillea millefolium) and my greatest gift from the plant was that of support. Encouraging and healing, the Yarrow plant is my ally who helps me to make connections and be strong during my endeavors. 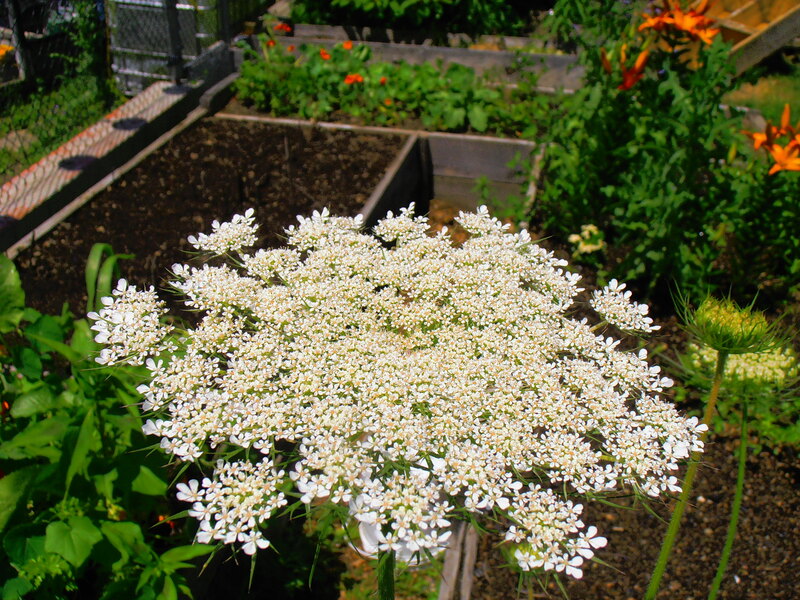 Yarrow helps me to keep my energy grounded and within my body, keeps me from being distracted by evil-doers, and protects me while I hold space for friends and community members while still maintaining my own strength and sanity. 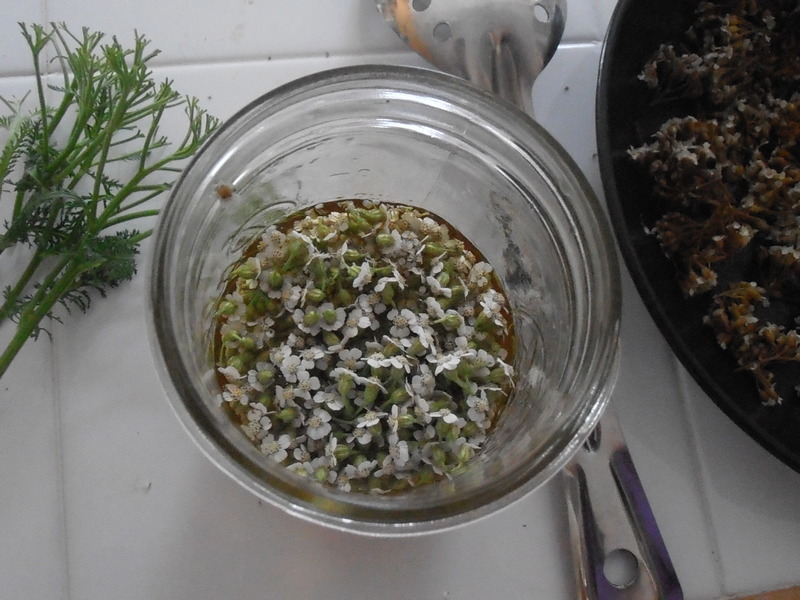 I look forward to sharing more about my experimence with Yarrow and reflecting more on its healing properties here on the blog. I couldn’t have started the Parcel Apothecary without the sweet love and knowledge this plant offers. I want to thank you, readers, for supporting me during the past four years by visiting the blog and reading about the herbs I have been experimenting with. I also want to thank you for being proactive and taking your health into your own hands! Whether you met me in person and were guided to the blog, or if you googled “Is there Mercury in Tulsi” or “Findhorn Gardens in Scotland” or “Aphids on my Purple Passion Vine” I thank the cosmos for connecting the dots between us, and I am so happy to hold a space for you where information on Plant Spirit Medicine is free and available for you to bring into your own health practices. If you are interested in reading more about the Parcel Apothecary and it’s Herbal CSA, the Small Estate Gardens I tend to in Rhode Island, or the herbs that are finding themselves in cocktails – please explore the links below. This past month I have been a busy bee finishing up the projects I have started over the past year, and I am thrilled to be able to share them with you, and officially launch my business. As always, thank you for visiting, & thank you for spreading the word! May you have a year that brings the fruits, shoots, and roots you need growing right outside your door. I love what you’re doing Ms Herbaloo, wonderfully written article and wishing you much success with the new business and each of it’s components! I get lots of random mail, but I must say your posts are so full of positive energy and creativity. What a fantastic idea , an herbal CSA. If I ever come to Providence I will make a special trip to see your place. Good luck in training the next generation of herbalists! !